As soon as you select an item a spinning icon prompts out on the top right corner of the Selector. There is a delay between the click and the application of the selection to the screen objects. It is then possible to 'pause' the application of the selected items on the screen clicking on the icon. You can then scroll the items and proceed with the selections you like; when done clicking again on the icon applies the select to the screen and refresh the data. When two Pagers are hierarchically related the active elements of the 'child' pager are not any more grouped on the top of the drop-down list but they are kept accordingly to the Order By setup of the Entity, with a white background. It therefore possible to switch on a 'child' belonging to a different 'parent' without scrolling but simply searching it in the expected position given by the Order By setup of the Entity. 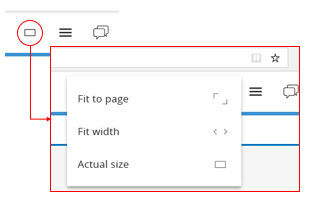 A new option is available in the Web User Menu, to automatically readapt the size of the Web Page (Screen) to your Browser Window Size. This of course helps the responsiveness of the Application versus different screen or window size. > Actual Size : the Page is displayed as it has been developed. It's likely that vertical and horizontal scrollbars are visualized if the screen page size exceeds the browser page size of your device. > Fit to Page : the Page is readjusted based on the minimum between the width and height of the browser page, so the entire screen page is always displayed in the browser page. Scrollbars are never visualized . The setup is kept when the browser is closed and it is applied to all the screens (it is a web client setup not a screen setup) . It can be anyway changed during the web navigation. The Fit options give their best if you're using some tablet or mobile devices. The Board Win or Web Client, if inactive is disconnected after 60mins; this happens only if you put the setting <LicenseLevelCheck>Standard</LicenseLevelCheck> to 'Medium' or 'High' in the C:\Program Files\Board\Board Server\AdulaParams.xml file . It is not possible to setup a different time-elapse. Clicking a Button with a Go To an URL fails with IE or Edge; now it has been solved. When Data Entry is committed the possibility to interact with the Screen Objects, applying new selection or triggering actions and refresh, is now frozen. A rolling doughnut is displayed until data are safely saved. Web: The selector overrode the Screen Exclude. It has been fixed. Web: A malfunction of the Search function of the selector that it was showing the inactive members has been fixed. Web: On the selector it is now prevented the possibility to untick all the available occurrences. Web: The selector in 'exclude' mode overrode the database security profile. It has been fixed. Web: Screens with many collapsed selector objects are now faster. Web: An unexpected behavior using the pager pressing the Enter key has been fixed. The scroll of the element with the arrow keys is not available. 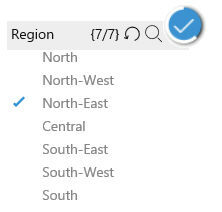 The arrow key will automatically select the highlighted entity member. Web: It is now possible to untick many items using the shift key in the select pop-up window. Web: It is now possible to export a printing area which Data-view Layout Title is larger than 32 characters. Web: It is now possible to customize the Data Entry Totals background color. Web: ATO configuration if into a Panel Container is ignored; it has been fixed. Web: a potential memory leak due to a malfunction on the invocation of graphical objects has been fixed. The Office Add-in ribbon bar is now available in multi-language. A malfunction of the data-readers feeding BLOB cubes has been fixed. Web: A malfunction of the select feature of the Timebar object has been fixed. Web: A graphical issue of the ATO pager using a hierarchy with several entities has been fixed. Web: Chart objects with empty series are now correctly updated once you change the screen selection. Web: A synchronization problem during the execution of trigger procedures during the opening of screens has been fixed. Web: If there is only the SSO authentication active , after the logout the user is no more automatically redirected to the login page. Web: A graphical issue during the execution of the interactive selection (exclude mode) through a procedure command has been fixed. 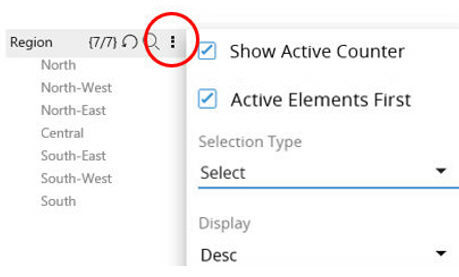 Web: The display mode on the web selector can now be interactively changed. Web: A graphical enhancement has been introduced in the horizontal web selector. Web: Chinese characters are now handled in the Cognitive Space. Web: A malfunction of text wrapping inside labels has been fixed. A malfunction on the datareader mechanism that was generating duplication on the entity member codes has been fixed. BLOB cube export function can now extract the content files in a custom path. A malfunction in the BLOB cube clear action has been fixed. User Session Expire: it is now possible to enforce user sessions to expire after 60 minutes inactivity. Once enabled, the feature terminates inactive sessions in the BOARD web client. For BOARD Windows client sessions, 60 minutes of inactivity triggers a client closure command forcing a closure of the BOARD desktop client completely. The feature can be enabled through the EnableSessionExpiration parameter in the AdulaParams.xml configuration file located in the BOARD Engine installation folder. By default the parameter is set to false. Any change on this parameter require a BOARD Engine service restart. HTTP datareader time-out: it is now possible to set up a time out for all the HTTP datareader actions: SAP datareaders and HTTP ASCII datareaders. This feature closes the communication channel when no data have been received after the timeout interval. It is possible to set-up the time-out value through the WebRequestTimeOut parameter in the server_config_v2.xml configuration file located in the BOARD Engine installation folder. The time-out is defined in milliseconds. By default the parameter is set to 600000. Any change on this parameter require a BOARD Engine service restart. The Major improvement of the Board 10.3 version is the capability of Creating and Printing Custom Reports. This features relies on a Windows process (Board.Web.Snapshotter.exe) that requires the installation of the .net Framework 4.7.1 . Please notice that this version of the .NET framework requires Windows Server 2012 or later. 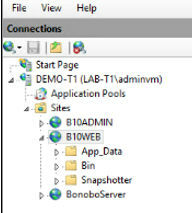 The 'Snapshotter' folder must be cut from the Bin Folder and copied in the IIS Board Website Root (like the App_Data folder). For additional information please refer to the Boardville Community Wiki Document. 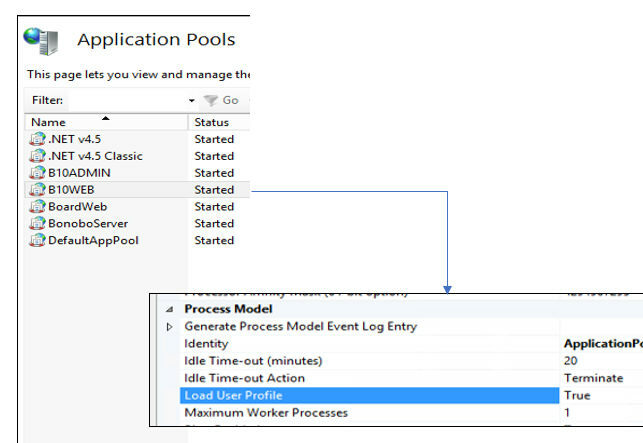 In the Application Pool of the IIS Board Website, go to advance settings, and set parameter “Load User Profile” to true. No additional configuration are requested if you're deploying the Board Web Service suing its own http Server. After upgrading the Board Server it is required to upgrade all Board Client and Office Add-in installations to the same version 10.3. A Capsule created or saved using version 10.3 can't be re-opened with an older version such as version 10.1.x or even older. It is possible to change some settings of the Snapshotter Process editing the file C:\Program Files (x86)\Board\Board WebApi Server\App_Data\config\snapshotter.config (if you run IIS refer to IIS App_Data Folder location path). The folder Path where logs generated by the reporting jobs are saved. Anyway if any of the BOARD Win Client, or the BOARD MS Office Add-In or the BOARD's HTML5WebServer (Board Web Client) finds, during the execution of a Board Application (Capsule) any incompatibility with the BOARD Engine (Board Server) it stops the execution and asks for the Client upgrade. The encryption method of the User Security Files and passwords, i.e. the files in the C:\BOARD\Users Folder (of the Board Server File System), has been changed. It is now adopting the SHA512 cryptographic hash function. The encryption is updated during the first run of the Board Server, occurring after the upgrade. It is not possible to utilize such Security files with older version of the Board Server. It is therefore recommended to backup such files before the Board Server upgrade, to eventually roll-back the system. Differently the Security User Files must be created from the scratch. It is anyway possible to de-activate this feature setting the parameter ForceSHA1 of the Board Server configuration file server_config_v2.xml, equal 'true'. In such situation the Log Tracking will be activated only and if only the log.config file is created in the proper folder (please refer to 10.1.4 release notes). Upgrading from 10.1.x to 10.3 doesn't create the file. Only new installation does. You can then download the file from here and copy it in the folder. If you have an installation of Board Web server 10.0 and you defined some custom configurations in the Web.config or BoardWebApiEngine.config files, you must re-type your configurations in the new files of version 10.1.X located in the folder mentioned above. It is of course not necessary if you already run 10.1.0 or later.